Produktinformationen "Analog Sensor Extension Cable"
Most of our sensors have cables that are 1.5 m long. There are times, however, that you may wish to have a longer cable. 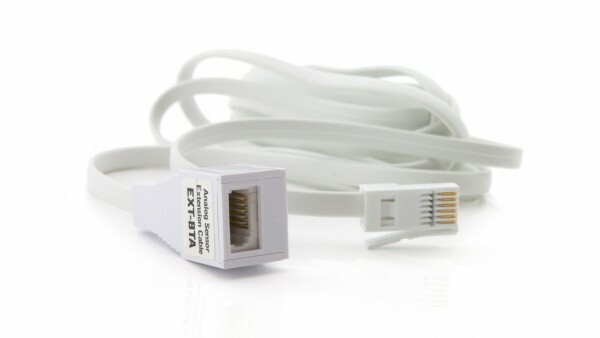 The Analog Sensor Extension Cable can be used with any Vernier sensor that connects to an analog channel labeled CH1, CH2, CH3, or CH4. Each cable is 2 meters in length. Weiterführende Links zu "Analog Sensor Extension Cable"
Garantie(Jahre) "Analog Sensor Extension Cable"
Weitere Info "Analog Sensor Extension Cable"
Kundenbewertungen für "Analog Sensor Extension Cable"